Unstarted, although it looks interesting. 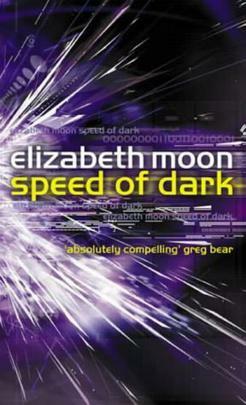 Looks a bit different from the other science-fiction I’ve been reading of late. 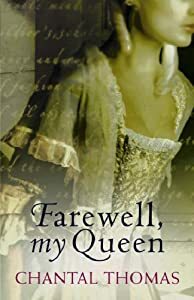 About three-quarters of the way through this novel of the last days French royal court in July 1789, and enjoying it quite a lot. While this officially covers the history right from the 12th century it really picks up the detail from the mid-17th century. I’m up to the late 18th century, approaching but not yet at the 1798 rebellion. A rather different approach to a parenting book than I’ve come across before, this discusses the complicated issue of bringing up little girls while negotiating the stereotypes and sexism of our societies. The book was published in 1992, so still seeing how it stands up two decades later to my own opinions. Definitely interesting, though. The two or three chapters I’ve read of this so far are decidedly odd. I’ll give it more time gradually and hope it grabs my attention. I wasn’t enjoying it all that much, and yet it was somewhat compelling. 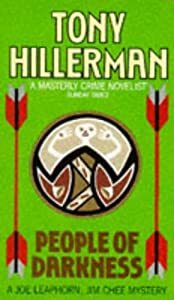 I got side-tracked from the Hillerman books, but will get back to them. (I’d better, seeing as I ordered the entire set on Bookmooch!) I’d read a chapter or so of this one, but would probably restart from the beginning. I haven’t read any London since I was seven, and read White Fang in one sitting (staying with my grandparents I picked it up off their shelves to sustain me through a long morning meeting of my grandmother’s). I’m still in the introduction here, and I hadn’t realised what a fascinating life the author himself had. A rather bizarre collection of often fantastical (but always so far set in modern-day USA) stories that I’m enjoying so long as I read each story in a single sitting, as they can be hard to keep track of after a break. 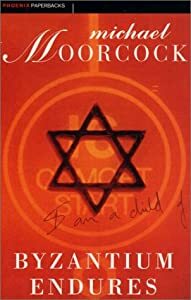 I don’t think I’ve read a collection of stories that was neither from one of the orthodox Jewish publishers nor aimed at children in an absolute age. (These are definitely not for children, although not crude, just for adults.) I’m enjoying the different perspective, and wondering why the general market avoids them so much. 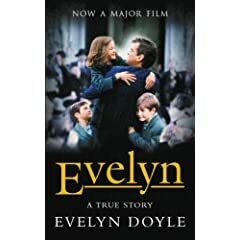 I think this is a compilation of a lot of stories and novellas Leinster set in the same universe, but which aren’t always about the same characters, but I’m not far enough in to be sure. 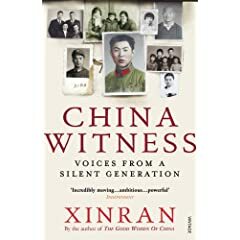 More academic in its feel than the other books by Xinran I’ve read, this offers a very broad sweep of 20th century experience in China, as told by the survivors and thrivers of that period, an apparently reticent and now elderly generation. Each chapter, about a different person or small group, is relatively short, and tends to leave me wanting more, but that’s not a bad thing. I don’t know why I haven’t got into this, seeing as I’ve been enjoying Turtledove’s alternate histories so much. I think I wasn’t really in the mood for what appeared to be more classic fantasy. I’ll try again at some point. The first book about Chinese history I read. 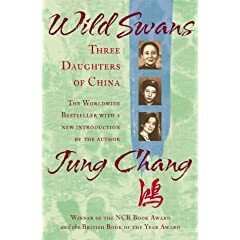 That was as a teenager, shortly after it first came out, and with all the Xinran I’ve been reading I thought I should go back to this one too. I’m picking up on details I certainly hadn’t remembered, partly because I’m older and partly because I do know a bit more about China now and can make more sense of what was going on (not that it’s badly explained in the book, but there’s only so much context a writer can be expected to give). 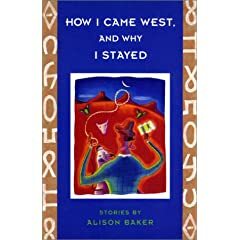 Still looking for other modern writers on the country. I began reading this book in early November, and it was an interesting perspective on Irish history of the late 19th and early 20th century. I don’t know enough about Uris’ historicism, nor the details of Ulster at this time to really comment on that, but there wasn’t anything too glaringly wrong in what I did know already. The book follows a number of individuals of a wide range of backgrounds in terms of education, class, profession, religion, desired nationality and more. (These last two aren’t plain dualities, either.) It’s fairly good at doing so, and is provocative. Worth reading for those interested in the topics. I’ve just started reading Trinity: a novel of Ireland by Leon Uris, as I finished The Professor and the Madman this morning, and this was one my DH expressed an interest in my opinion of. I’ve seen novels by Uris before, but not read any of them. At the moment this is sharing the opening set-piece of Dubliners: the wake of an old man, respected in the community (if not by all), as viewed by a young boy connected to his family. I haven’t got far enough in it to say more than that as yet. Already, though, it’s got my DH and I discussing Irish history again, which is never a bad thing. I believe I was given one copy of this and offered two or three more. Not sure if this says more about me or the book (I was being offered once read copies, where the purchaser thought it unlikely they’d reread the book). It is perhaps more of a book of children’s fairy tales than might be expected from Hermione’s fascination with it in Harry Potter and the Deathly Hallows, but for those who enjoyed the Harry Potter series in its totality it’s certainly worth reading once, and for more than the sake of completeness. After 2008’s reading of the original American version, this was me going back through the series as I knew it originally. As I pointed out then, they are only fractionally different. I still love the story and the writing in this series, but on this reread I was getting disturbed by the huge amount of violence (sexual and non) within the books, so it may be awhile till I go back to them, presuming I do. I haven’t even got hold of or read An Echo in the Bone (the newest book, which came out this September just gone) because of this. I listened to this back to back with Mr Hogarth’s Will, as described two days ago, and since they have some overlapping themes I thought I was going to get them thoroughly mixed up, but I think I have them more distinct now than I did at the time! Unlike Mr Hogarth’s nieces, who are educated to provide for themselves, and then turfed out to do so, Diantha has to do a lot of persuading of her family that she be allowed to try so to do (so far so like Agnes Grey), especially since she has a young man desperate to marry and look after her (so not like any book I’ve come across before the current generation). This is a clever, practical, principled young woman with her own plan of action, to benefit many women young and old, who will not be deterred from her path, especially by those she loves. Oh, and while I’m discussing improving photography skills, I just came across a really interesting photography blog. It is aimed towards proper photography, but those of us trying to get beyond ‘just snaps’ (again) can learn and be inspired too. 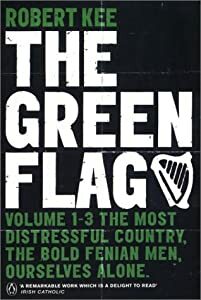 This is a brave little book, trying to explain such a complicated and controversial section of Irish history without a whole lot of background to the period. It is published to meet the upper years of the primary curriculum in Ireland (the Republic) and Northern Ireland, and to add to that of England, Scotland and Wales, and I can see it being a very useful resource where the topic is being taught, but it would take a very interested child indeed to really understand the politics of the Irish Civil War from any one book. To personalise things just a bit there are brief biographies of Michael Collins and Eamonn de Valera. This one is all about personalising a more general story, in this case of wild lions in Africa and the challenges they face to stay alive in the face of hyenas, hunters, mining eating away at their territory, rival males and possible starvation. It tells the tale of a lioness here named Leah who becomes the dominant female of her sisters and her cubs.